What is attachment focused family therapy and why is it particularly important for foster/adopt children? Firstly, as a therapist who works with foster/adopt families, I am always cognizant that the focus of the therapy is on the healing power of the family - the empowerment of the parents in their relationship with their child - not on the child's 'issues' and her relationship with the therapist (as in child therapy). This is most important when working with adopted children who have experienced relational loss and trauma, as a dyadic weekly 'bonding' with a therapist can easily disempower the parent and the sometimes fragile parent/child attachment, especially when the parent is "at their wits end "in knowing what to do. Also, when a 'safe haven' of a secure relationship with the parent is established, then past trauma can be processed more easily. When a family comes into my practice it is usually due to a child expressing distressing and disruptive behaviors, which have been increasing in intensity of expression and in frequency. The parents/caregivers are often experiencing a mixture of anger, saddness and confusion and are at their' wits end' in knowing how to stop; reign in or 'control' the behavior, which is escalating without any compliance to rules or reason. Often the request of the parents, out of exhaustion and frustration, is to just fix my child! 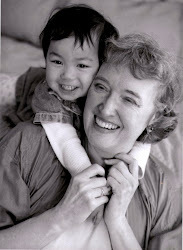 Attachment family therapy focuses on a continuum of interventions practiced in session and at home. The goal is to address the child's acting-out behaviors (literally, the externalizing of unmanageable and distressing feelings and thoughts) together. This way the parent learns to focus on and attune to the feelings that the child is experiencing , at the same time putting a limit on the behavior. It might be something like: "WHOW! you are REALLY , REALLY. angry and frustrated that the homework is hard. You want to do it yourself. (pause) Hitting your sister because you are angry is hurtful and not OK. Maybe you can find a better way to express your anger when it is boiling up inside"
The therapy usually involves parent support sessions where the therapist meets just with the parents and then dyadic sessions with the child and one parent at a time. In this way the parents learn how to decode the child's behavior and practice at home and in session how to set strong, nurturing limits. The entire family learns new skills and engages in experiences of attunement (one of the hall marks of a healthy attachment in relationship). Attunement is the experience of "feeling felt" by another person (which is reciprocal and has its foundations in the healthy infant/parent relationship) and "forms the nonverbal basis of collaborative, contingent communication" (Siegel, 1999). The best reward for a child, who has been neglected; abused; traumatized or experienced multiple early relationship losses, is settling into a positive, stable, secure and attuned relationship with a loving parent.